AC Milan related rants, news and more. Do any of you feel like things used to be magical when we were young and crazy? Yeah, all the old fellows I meet in the pub before game day talk about their college days and how they partied harder than Robert Downey Jr. and Mark Wahlberg. I have that feeling when I watch football these days as I don’t see a classic number 10. I don’t see the great strikers of the 90s. I want to convey what I feel to the newer kids just for the kick of it. I know football has evolved greatly; pace, physique meshed into every single aspect of the game. Cristianos, Drogbas, Boatengs (debatable) will be dominating the field, physical beasts who would be able to dish out punishment at high rate in the final third. I know big strikers with no nonsense attitude existed before my time. Natural gifts were valued before parity in conditioning was achieved in football. I know I am underselling their technical and all round footballing abilities; call it being nostalgic or being old. 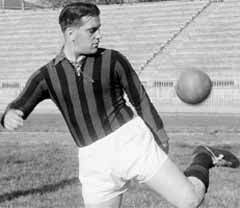 A striker I always wanted to watch was Gunnar Nordahl who clearly showed how dominating you can become when a great footballing brain is molded into a Greek god like frame, a mighty Swede who scored 210 goals in 257 games. His goals highlights shows what a physical, fast, menacing and professional striker he was. He was just a beast who dominated for Milan. I already went off track on this subject, so I am planing to write a series on a couple of strikers who are special in their own way and whom I have watched while growing up. Its neither a ranking nor an exhaustive list. I could be very far from the truth on every single striker bar one and you are more than welcome to chip in with some suggestions. If any of you want to add their favorite strikers into the list you are more than welcome. He is master class in movement, he is the one guy who will push the envelope to its limit, flirting with offside consistently. My commentator for my dismay utters “he was born offside” – Alex Ferguson’s comment – every single day. He was supremely intelligent and developed a knack for decisive movements. When I watch the game I only see Pippo scoring and his open mouth celebration. I couldn’t figure out what that dude was doing until I watched the replay. Stretch the defense to its limit, exploit the match ups. Every number 10s friend, every overrated long ball specialists’ dream and fans love him because he makes the stadium erupt. He is crazy effective with solid side kicks, he can score something special even on his death bed. Oh well, last time I heard his scoring exploits off the field was out of the world. He reminds me of Baresi’s quote on himself as to how he was able to maintain his standard for a long time, “I think better than others”. Similar to that, Inzaghi’s career was built on intelligence, experience and sheer determination. He is adored by Milan fans not because he had a great career but because those moments he created from nothing will be cherished forever. 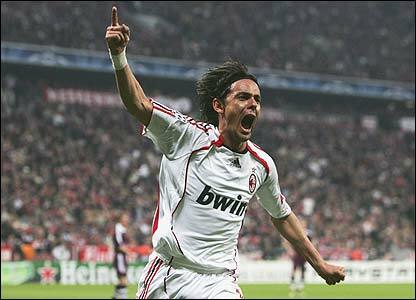 The 2007 Champions League final win was needed to complete Pippo Inzaghi. He may not be the greatest in this list but his instincts and movement made him unforgettable. He was injured for most of his Milan career and he only had one or two standout years where he smacked goals top and bottom but like I mentioned, overall stats don’t define Mister Inzaghi. I am not even a big Pippo fan, I was heavily annoyed by his injury prone career, his frustrating offsides and his productivity in later years but he was a special player. Somehow he is compatible with every other player who is not an out and out striker like him. Pippo eats up competition; as mentioned in Ancelotti’s biography, Pippo and Del Piero had their falling out. The only time I saw Pippo take a mentoring role was in spring 2009 with Pato and one Huntelaar 5 minute cameo at the end with Catania, he moved in and out of the box and thus created an opportunity for the younger striker. He was exquisite with kaka, seedorf and rui costa because all three of them loved the center lane creating so much space for Mr. Offside to stay onside. I want to pay a better homage than this but everybody knows about Inzaghi especially in the Milan realm. You can go also go through a couple of articles on this blog and outside of it to get a feeling for it. Above cartoon courtesy of waiting-mockingbird. The Champions League group stage is just around the corner and Milan public relations in the face of Galliani and Ancelotti are already talking about Milan’s infamous CL DNA. While I believed in it during the ‘oughties, I don’t put much value on the current team’s ability simply because the biggest part of that DNA in my mind was experience. The Milan with CL DNA. Soccernomics has nicely showed the link between success and experience. An important part of experience comes from the club but I wanted to look at the players. A quick glance showed that current goalkeepers have less CL experience than a Dida, the whole defense can’t match a Maldini, the Seedorf-Gattuso-Pirlo trident tops the midfield and strikers are left behind by a Sheva. But how do Milan match up against other clubs? For that I did some simple research that was more fun than evidence. I added up all CL competition games (doesn’t include preliminary matches or coach experience) from the UEFA site and I divided them with 116 which is the number of games Maldini played. Simply because having a number of games was too boring and after post-Maldini stress there is not much better to do than to make him a benchmark. Paolo Maldini – 5 time winner of the European top club competition. 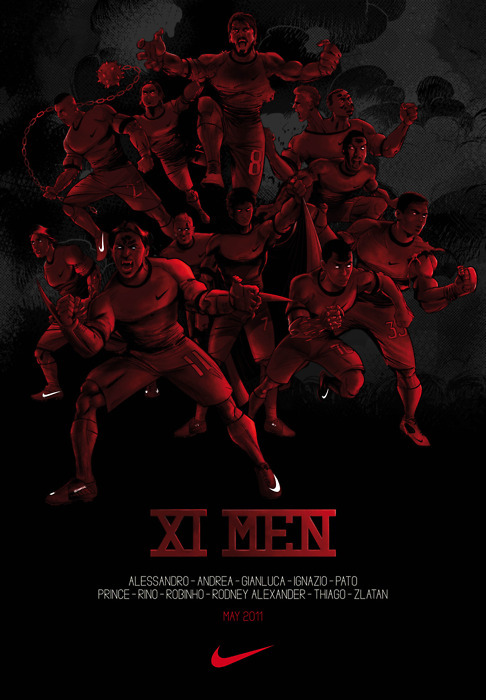 Of course the more important part is how much of that experience is on the field during matchday but in the end the 6-th place injected a little optimism into me before we kick off (this was done before the Milan loss vs Atalanta). PS: Let me know if you spot a mistake. “That lad must have been born offside.” If you don’t know who said this quote then you probably shouldn’t continue reading. Because whenever Inzaghi’s name pops up, English pundits or commentators never fail to remind us of what they think is an incredibly witty saying. Or at least they used to. In the past, Inzaghi was viewed as the stereotype Italian footballer. Diver, cheater, cunning, and obviously just lucky to score simple tap ins. 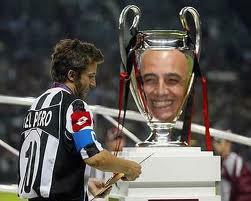 Now Inzaghi is known and respected by almost everyone. Acknowledged as one of the best goalscorers in history, a master of positioning, a symbol of passion, and an ageless football legend that has won – and scored – (in) every tournament in the game. The relationship between the normal football lover and Inzaghi was always one of jealousy and despise. He seemed untalented. A good goalscorer, but apparently anyone could have scored those easy goals, especially if he had Zidane and Del Piero or Rui Costa and Kaka supplying him. Plus his over-the-top goal celebrations and falling at the slightest contact didn’t help warm him up to the neutrals. He was always misunderstood. Inzaghi was first introduced to the English – and international – scene with Juventus in the Champions League. Back then when La Vecchia Signora had the likes of Del Piero, Zidane, and Davids on their team-sheet. Their match-ups vs Man United were classic Champions League encounters which led the two teams to become protagonists in many Pepsi adverts in the late 90s and early noughties. When United won the treble in 1999, they had to get past a Juventus side that had went 2-0 up with two Pippo Inzaghi goals. Anyway, it’s sort of ironic that to the cynics Inzaghi represents luck in every possible way, while he’s been one of the most unlucky professionals of the past generation. Injuries and unfortunate selections by coaches almost always seemed to get in his way, but over the years we have learned to never write off Inzaghi. Bury Pippo and he comes back stronger. Milan’s number 9 first burst onto the scene with Atalanta in 1997 when he scored 24 goals in Serie A to win the Capocannoniere award. 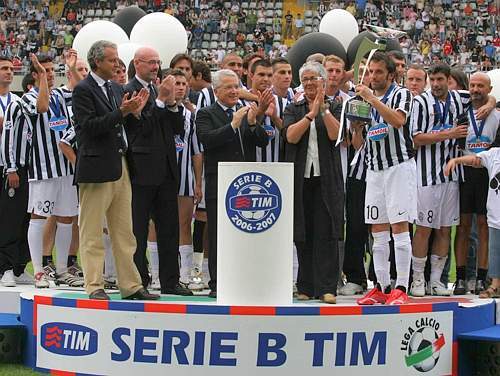 This earned him a move to Juventus which, theoretically, could have put him as Italy’s number one striker. Instead, despite winning a Scudetto and reaching a Champions League final, due to his not-so-perfect relationship with Del Piero, and the emergence of Trezeguet, Pippo’s time was up at Juventus. Maybe his time was up as well at the top. Or at least the cynics who Pippo loves to prove wrong thought so. A transfer to Milan put him alongside Rui Costa, Alessandro Nesta, Andrea Pirlo, and Clarence Seedorf as the new arrivals that would form the core of a successful and extraordinary Milan side for years to come. Carlo Ancelotti, another Juventus reject, took Milan to the Champions League final in 2003 versus Juventus, only two seasons after he and Pippo swapped Turin for Milan. Buffon denied Inzaghi the winner in the final, but Milan went home with the cup and Pippo had gained his redemption over his ex-team. As for Buffon, Pippo had already scored THAT goal against him earlier in the season. Throughout Inzaghi’s international career, Italy almost always used a strike pairing of a classic center forward, and a trequartista. Del Piero and Totti might have been poster boys for Italy’s fading generation, but it was the Vieri’s and Toni’s that scored the goals. Pippo made his Azzurri debut in 1997 but failed to crack into the starting 11 in France 98 in favor of his best buddy, Christian Vieri. In World Cup 2002, which was an unfortunate tournament for Italy and Inzaghi, not only did Vieri deny him a starting spot once again, but the linesman also unfairly denied him his first World Cup goal. In Euro 2000, one would think Inzaghi would’ve received the starting nod since Vieri was out injured, but instead Zoff opted for a weird rotation system between him, Delvecchio, and Montella. Despite scoring vs Turkey and Romania, and starting the semi final vs the Dutch, Pippo didn’t get a single minute in the heartbreaking final. He missed out on what was most probably his finest and last shot to become Italy’s number one center forward in a major tournament in Euro 2004, due to a nasty knee injury which came after a lethal qualifying campaign with Italy and 12 Champions League goals that lead Milan to Champions League glory. On paper his international career seemed over, but one should never write off Inzaghi. An extraordinary comeback from injury earned him a spot in Italy’s World Cup winning squad, and his first and only World Cup goal. Though it was Toni who edged him this time, Pippo’s time at the top wasn’t over yet. In fact, it was yet to come. Pippo has never been lucky with injuries. In fact, while he was at his prolific best, in 2003, injury was just about to knock on his door. He was just off a Balon d’Or worthy season with 30 goals, including 12 in the Champions League winning campaign. And was finally Italy’s leading man in the Euro 2004 qualifications, in which he also finished as top scorer for the Azzurri. His injury woes started in December 2003, and he continued to struggle with them, failing to reach a consistent run of games until the 2005/2006 season. Many had doubts about Pippo’s ability to come back, as he had almost missed an entire year and a half while also passing his 30th birthday, but Milan stood by him and offered him a contract extension in November 2004, which was a vote of confidence that Pippo repaid well. He returned stronger than ever in late October 2005, and scored the winner on his return vs Palermo in the 78th minute. SuperPippo was immediately back in business. He continued the season in an outstanding fashion, scoring 17 goals in total including last minute winners vs Lecce and Lyon, as well as another goal vs Lyon and a brace vs Pippo’s personal favorites, Bayern. He capped off the campaign by earning a spot in Italy’s 23-man squad for the World Cup in Germany, and returned home with a gold medal. After winning the World Cup in 2006, Inzaghi returned to a Milan in crisis. Strike partner and talisman Shevchenko was gone, so was the classiest number 10 – Rui Costa, and Calciopoli had left the club’s reputation and finances severely damaged. Milan endured a difficult campaign in the league, but in the Champions League it was business as usual. It might have been Kaka who took the team through the group stages, and past Celtic, then followed by United, and undoubtedly Milan wouldn’t have reached the final if not for Seedorf’s heroics against Bayern, or Gattuso bossing United’s midfield, or Nesta leading the defense into safety, but the final was all Pippo. His moment at the top had finally arrived. Two years earlier, Milan had thrown away the Champions League to Liverpool on the cursed night, with Pippo watching from the stands. But now it was time for redemption. Milan defeated Liverpool, and got their revenge as well as the club’s 7th Champions League, while Pippo Inzaghi won over the world and booked his place in the history books with the all time greats. At the age of 33, Filippo Inzaghi had reached the most important moment of his career. 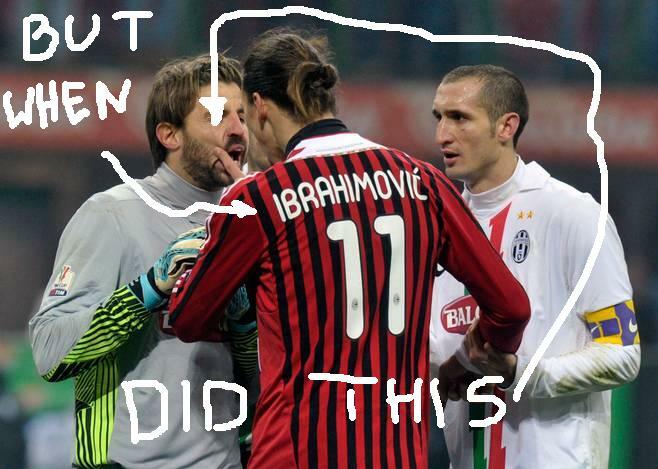 That was the day he earned the respect of all the neutrals, because the Milanisti already idolized him long before. His legacy continued with vital goals helping Milan win the UEFA Super Cup and the FIFA Club World Cup, thus ensuring Milan and himself continued to rule the world. He continued to break goal records, passing the 300-goal mark in his career, and finishing his European adventure with 70 goals, the second best of all time. As the seasons passed by, age started to take its toll and his role started to diminish. Nevertheless, he remained clinical as ever and proved it on what was his twilight at the top stage. When Jose Mourinho was coaching Inter in 2009, he had remarked that Pippo was the striker he was most afraid of in the Milan camp. That day Pippo came off the bench to score a wonderful equalizer. Only problem is that it was canceled for offside. Which reminds me, did you know that Ferguson once quipped that “Pippo was born offside”? Of course you did, but apparently English pundits seem to think that this is brand new information. 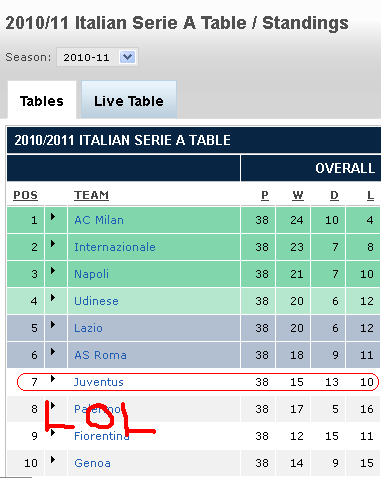 Anyway, in 2010, Mr. Mourinho was then coaching Real Madrid who were about to face AC Milan in the Champions League. 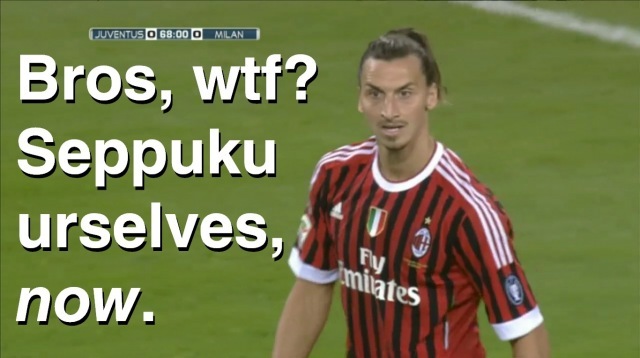 Once again he mentioned that Inzaghi was Milan’s best striker and the one most likely to cause Real’s defense trouble. The press thought he was joking around, but Pippo, aged 37, came on when Milan was 1-0 down at San Siro to score twice in a magical night that demonstrated once again what man can achieve out of pure passion and determination. As he prepares to leave the pitch, one can’t help but stand in awe and be immensely proud of what Filippo Inzaghi managed to achieve over the course of his career. No, I’m not talking about accolades though he has them in abundance (A World Cup, 2 Champions Leagues, and 3 Scudetti are amongst the numerous trophies he won) nor about his goal records (70 in Europe, 25 for the national team, 126 with Milan, 197 in Serie A including 10 hat-tricks, 313 overall). What Pippo has achieved far exceeds all that. Boasting a technique amongst the worst in the history of professional footballers, Inzaghi based his game purely on passion and intelligence. Two elements that didn’t let him down. He couldn’t dribble, nor make a simple long pass, but desire, determination, and extremely intelligent movement were his keys to scoring. And boy did he score. There’s a reason Pippo was constantly offside Sir Alex, it’s because he times his runs off the last defender’s shoulder. He gets called offside many times each game, but the one time he’s through cleanly, it’s a guaranteed goal. He scored with every part of his body: right leg, left leg, headers, shoulders, stomach, you name it. He scored lucky goals, freak goals, easy goals, offside goals, and whatnot. But he also scored Champions League winning goals, derby goals, last minute winners, and tons of goals that will forever be carved in the memories of fans. Pippo Inzaghi may have been born offside, but he was born to score. He burst into fame as a loathed cheating ‘lucky’ goalscorer, but bows out as a legend of the game, an idol amongst Milan fans, and one of the best Italian footballers in history. He can leave without any regrets, and with his head held high. He played for the fans, and never ever let them down. There’s a reason why such a technically limited footballer is idolized by millions of fans and respected by everyone else, it’s his passion. His desire. His dedication and hard work. Pippo lived to score and you could see in his celebrations how much he enjoyed putting the ball in the net by any means possible. Football will never forget Pippo Inzaghi. Goodbye you champion, you taught me how to live life. He ran to referees to complain like a b****, but they told him to go f*** himself. 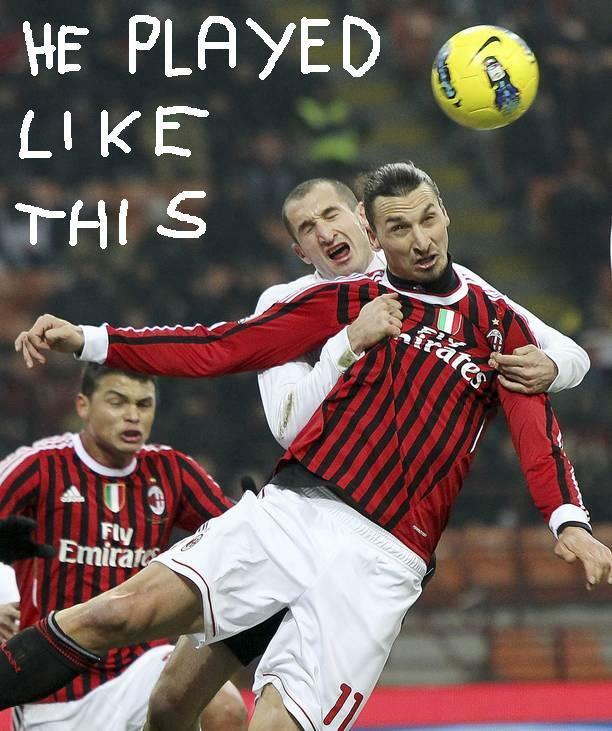 Then he cried to Mexes like a b****, but he told him to STFU. Then he cried to Bonera like a b****, but he told him to STFU. Rumours say even Tassotti had to have a word with this soft-a** snitchb****. Then he went on to the media to cry like a b**** and it is safe to think he also went to a psychiatrist, who told him to STFU. Now Giorgio is probably at his mom’s place complaining like a b****, but not even the greatest mother-love can stand this sort of b****ing from a grown man and he might be disowned from his family. 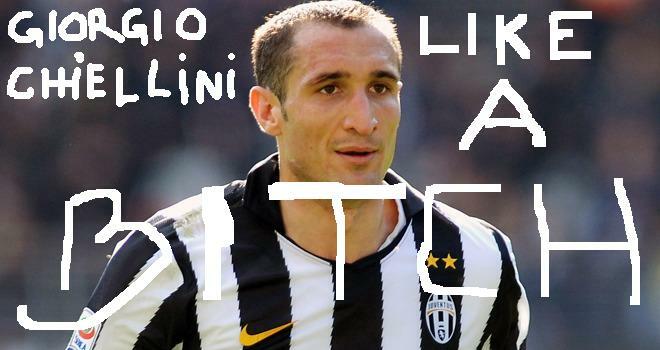 Only Juventus is retarded enough to act like he’s an OK dude. Shoutout to snitchb**** II – Morgan De Sanctis. Move 67 from the Snitchbook: fall-on-your-knees-for-the-injustice-of-the-world. © 2011 - 2019 The AC Milan Blog. This is a fan blog. 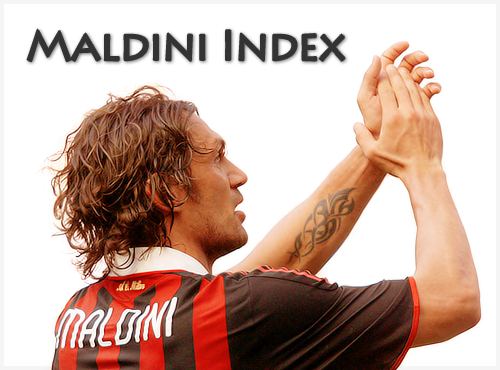 This is NOT the official blog of AC Milan S.p.A.